Ever since we got our own ice cream attachment for our Kitchen Aid, Dan and I have been in love with making our own home made ice creams. We have made a range of ice creams in the past including fruit flavoured ice creams, frozen yogurt and coffee ice creams (you may have even seen photos of them on instagram)! 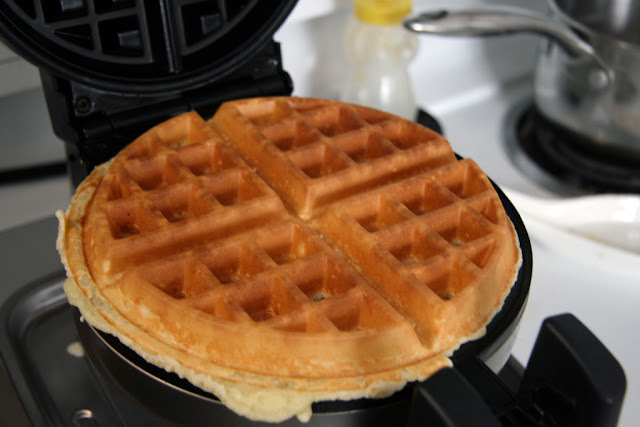 I am surprised that I didn't blog any of our recipes yet, but that will change with this post. Today, I am sharing with you our Saskatoon Berry home made ice cream recipe. 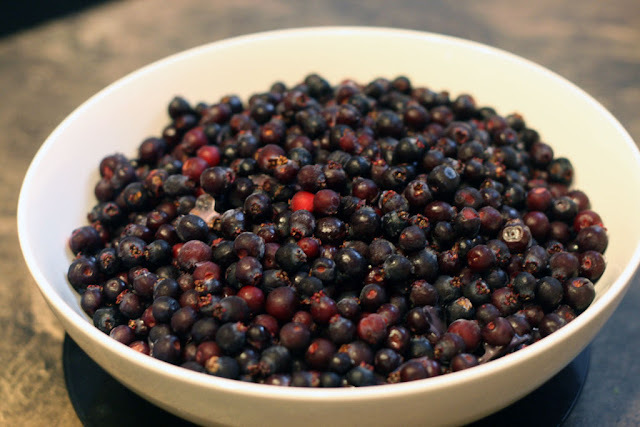 Over the summer months we foraged significant amount of saskatoon berries, which I wrote about in my Saskatoon Berry Pie recipe, and some of the berries we ended up freezing. 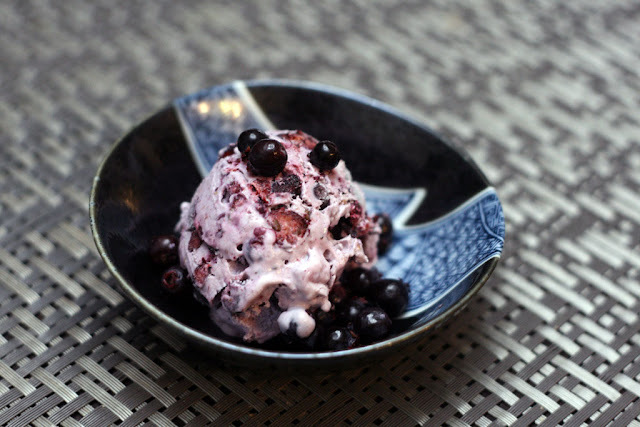 Making your own homemade ice cream is fairly easy and only needs a few ingredients. While having an ice cream maker is not necessary, it does make it easier during the churning process. Measure all the ingredients. If you don't have a scale, the proportions we used is 1 part egg yolk to 1 part sugar to 4 parts whipping cream or milk (or a combo of both). I used 5 egg yolks here because I just finished making some macarons which always leaves us with leftover unused egg yolks. If you use all whipping cream for your recipe, the resulting ice cream is more rich. For this recipe, we used our Vitamix to make the ice cream base as we have found that it cuts the time for making the custard substantially! That, and I no longer have to use a double boiler for making the custard and risk burning my hands. 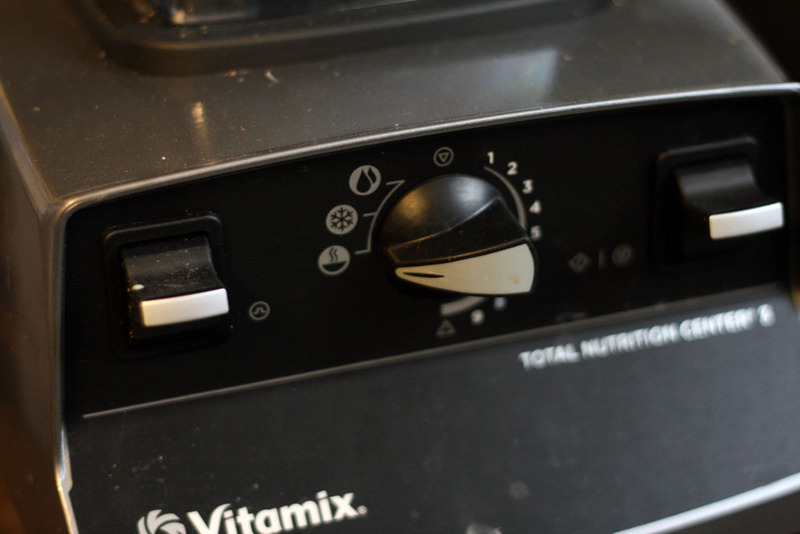 If you don't have a Vitamix, follow the instructions listed in the notes. For those with a Vitamix or similar, pour the egg yolks and sugar into the Vitamix and pulse to combine. Add the whipping cream and milk into the Vitamix container and then set the Vitamix to the hot soup function and turn it on for 7 min. Just before 7 minutes are up, toss a handful of berries into the blender. After 7 min, check to see if the mixture has reached 170F. If you don't have a thermometer, use the "back of the spoon" test where you dip the spoon into the mixture, swipe your finger against the back of the spoon to see if a line remains (top part does not drip into the bottom). If you don't have a Vitamix, use a double boiler to make the ice cream base. Same as above, mix the egg yolks and sugar first, before stirring in the whipping cream and milk. The ice cream base (similar to that of a custard) will be done when it reaches 170F or when it passes the "back of the spoon" test. Pour the hot mixture into a bowl. 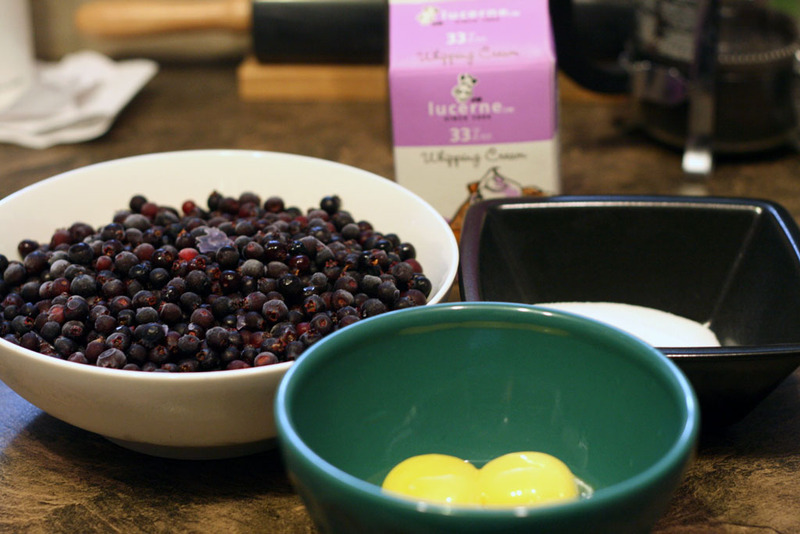 Add in the saskatoon berries and allow to cool before placing the ice cream base into the fridge overnight. 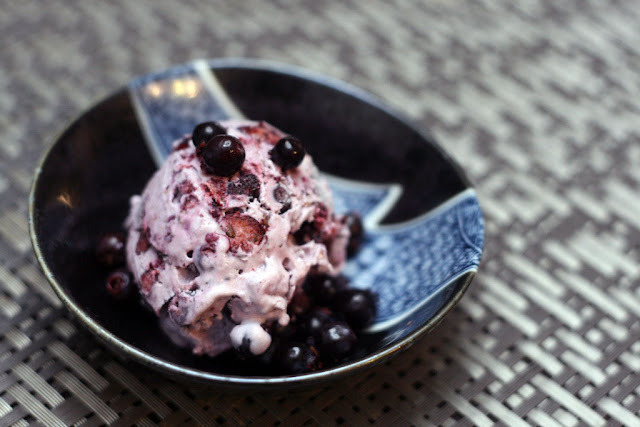 The next day, churn your Saskatoon Berry ice cream using your ice cream maker. 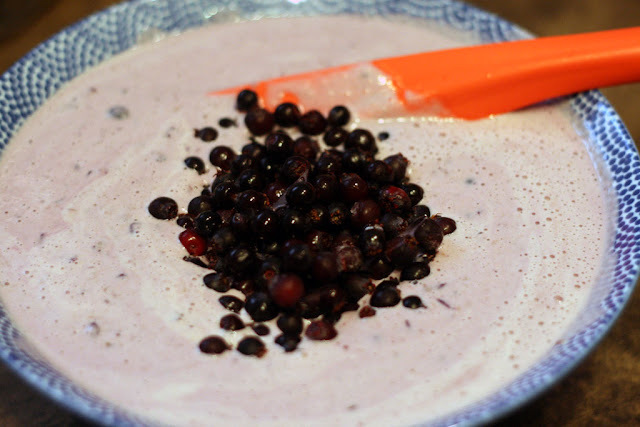 If you do not have an ice cream maker, place your finished ice cream mixture (with the saskatoon berries mixed in) into a metal bowl and into the freezer. Stir the mixture approximately every 20 minutes for 2-3 hours. 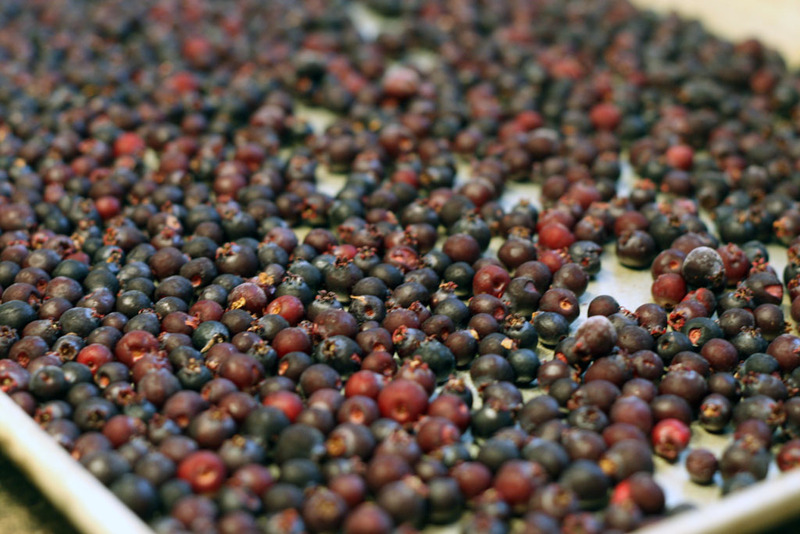 Regardless of method, for maximum enjoyment, allow the Sasktoon berry ice cream to freeze for at least 6 hours before scooping! Dan mentions that good (e.g. thick/creamy) ice creams try to avoid having too much air whipped in during the churning process. This is why it is essential to let the ice cream base sit in the fridge overnight. This allows the air bubbles that have been churned in to escape. 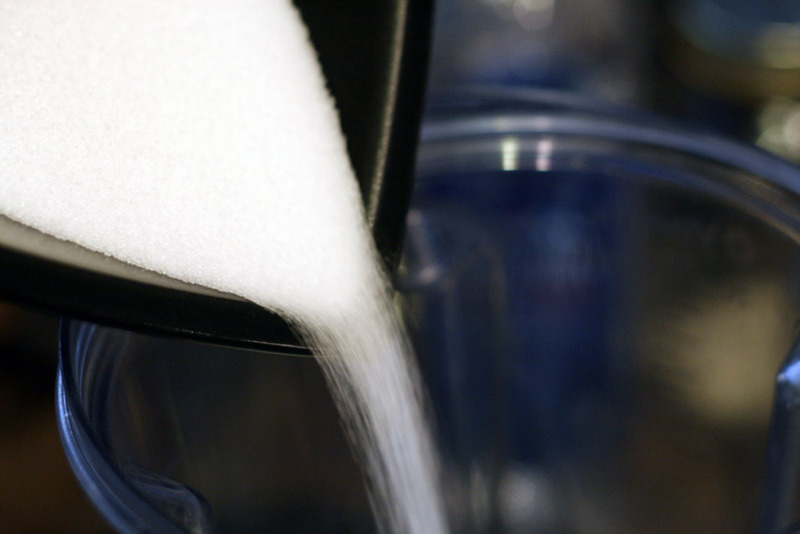 When you use a double-boiler or a pot, you tend to have less frothing, but it takes longer. If you're worried about having over-cooked eggy-bits, check your temperature and done-ness of the ice cream base first at 5 minutes, then every 45 seconds or so afterwards. The other crucial part of the ice cream is the "mouth feel" of the ice cream. Some people like their ice cream to be more on the milk-side of things. 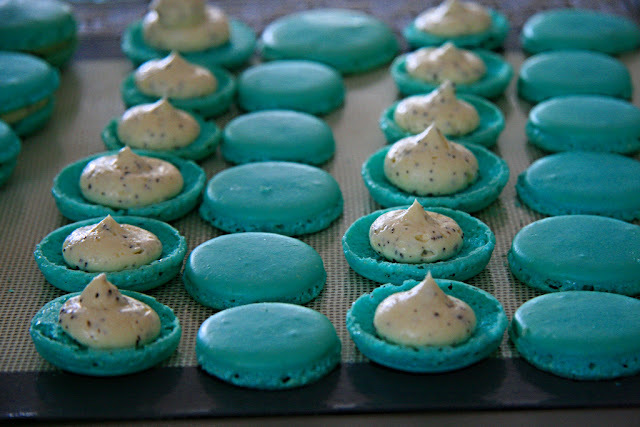 As such, using more milk instead of cream will help to achieve that flavour profile. 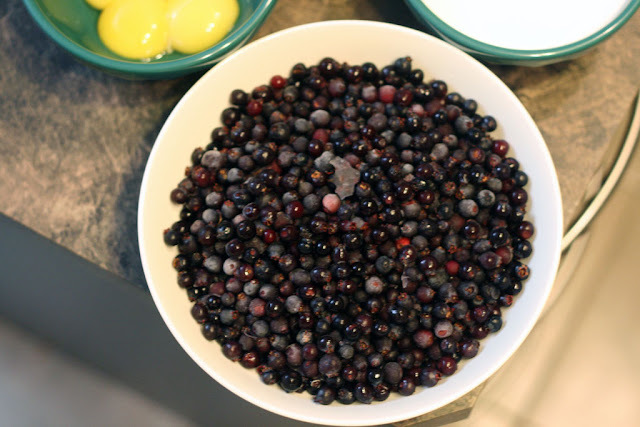 This was the first summer we made wild Saskatoon Berry ice cream! However, we use the same base and change the fruit filling to make other types of fruit ice creams like homemade strawberry or mango ice cream. I personally think ice cream can be enjoyed at any time of the year (even when it is cold outside), so I encourage each one of you to get out there and make some ice creams!